Little Bit Funky: Updates for a New Year! Updates for a New Year! I call you that because I mean it. I've had this blog for over eleven years at this point. Longer than I have had my shop even. We have been through some stuff together, you and I. Babies and moving. Hopes and dreams. Devastation and hard times. This has been a good place for growing and I have gotten to know some of you as dear, dear friends. For a while I wondered if it was time to let this place go. Shut it down and move on to new things. Instagram is now the place where I tend to let my random thoughts flow but those are harder to keep track of than here. I love it but I don't sometimes. If you're still following along, you'll notice that this blog has become backup to Instagram for me. Holding recipes or things I want to share with you. And I think that is a good fit, for now. I think it's transformation is complete-ish. I may sneak over here with a heart dump now and then and I think that still suits it as well. As we sit here, almost at the beginning of a brand new year, I can't help but think about what I want for and from my business in 2018. One thing keeps coming to mind: depth of relationships. I adore the friends I have made through this strange life I've been given. I've had online friends since before it was socially acceptable. Depth and breadth has been added to my life through this online place and it is so precious to me because of that. So many dear people from all over the world have shown up for me with words and actions when I have needed them, often without them knowing it. In 2017 I have made a point to get to know as many of my customers as I possibly can and the fruit of that is beyond what I could have hoped for. I love being a personal sewist for so many of them. I can't tell you how many emails I get that start with "I have this crazy idea...." and because there are real relationships involved I also get the honor of "Can I ask you to pray for...". And that is even more precious to me. The deeper the relationships, the more fulfilling my work is. Because of that, I have struggled with creating an online shop. I love my currently method of email and google form because it causes interaction between myself and my wonderful customers. We email and share and become friends. I don't want to lose that. So I am keeping it in place as my preferred way of doing business. I'll also move forward with the online shop for new folks and referrals. 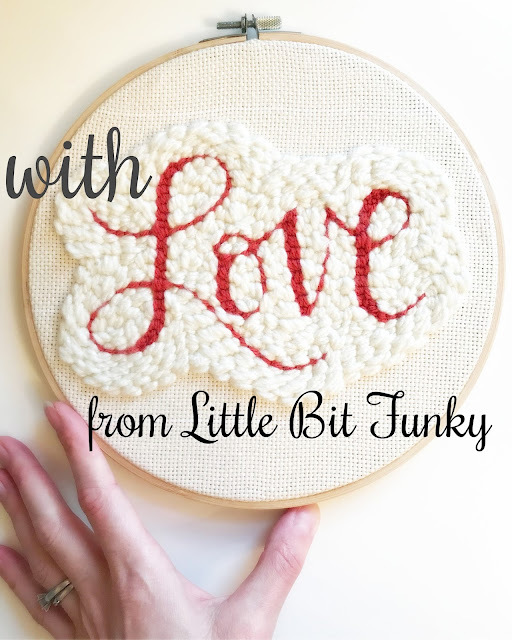 You can check it out here if you'd like: Little Bit Funky Shopify (it's still a work in progress). In the meantime, I look forward to what the year holds. New friends and old ones. And maybe some healing.